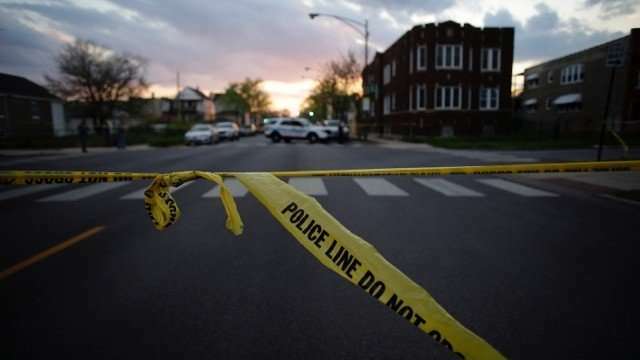 Recreating Chicago's co-offending network of approximately 188,000 people, the researchers used data on firearms recovered by the Chicago Police Department to locate who in the network possessed those guns. "Literally, we wanted to know how many 'handshakes' away possible users of illegal firearms are to a gun," said Andrew V. Papachristos, senior author of the study and a professor of sociology at Northwestern University. "How easy is it for them to get a gun?" "It could provide a roadmap for understanding how illegal guns 'move' through a network," he said. In the study, the researchers found that on average, any person in the network was 2.5 "handshakes" away from a gun. "In the context of Chicago's illegal gun markets, this means that guns are in relatively close—but not necessarily immediate—access to individuals in the network," said Papachristos, also a fellow at the University's Institute for Policy Research. "A distance of 2 equates with an 'associates' associate'—the equivalent of asking someone for a gun and that person replying, 'I know someone who can get you a gun.'" Importantly, the study also found that gang membership reduces the distance to the closest firearm by about 27 percent, which came as somewhat of a surprise to the researchers. "People are pretty darn close to guns, but it's not quite as easy as driving through McDonald's," Papachristos said, "but gangs play a key role in facilitating access to guns." Papachristos said there is a general impression that guns are easy to come by in Chicago. "There are a lot of guns in Chicago," he said. "Chicago recovers more firearms each year than any other city, but we don't really have a lot of data on guns and gun markets in the city." Going forward, Papachristos said the study would need to be replicated in different cities and states with different types of gun laws and policies. "While Chicago and Illinois have strict gun laws, the proximity to cash and carry' states like Indiana make the borders of these markets a bit more porous than an analysis focusing on a single city might lead one to believe," Papachristos said. "We need to understand how markets, even illegal ones, are shaped by policies and, in turn, what sorts of policies might be used to change the flow of guns in a network." "Closer to Guns: The Role of Street Gangs in Facilitating Access to Illegal Firearms" published in the Journal of Urban Health earlier this month.